In the application system of microcontroller, keyboard is essential in man-machine dialogue. 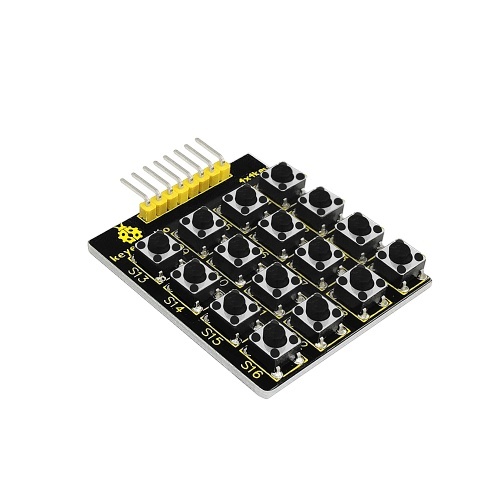 When you are short of a button, you can connect one to the I/O port of the comtroller; but when you need a lot of buttons with limited I/O port resources, this 4*4 Matrix Keypad is no doubt your best choice. 4*4 matrix keypad is the most applied keypad form. 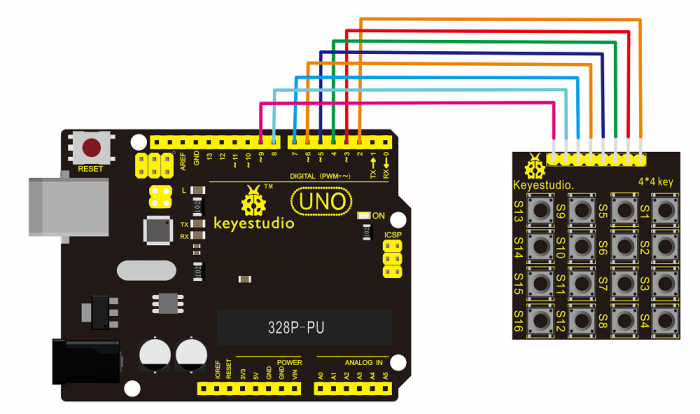 We need to master its keypad identification technology as entry to microcontroller world. Here, we will use an examples to illustrate the identification method of 4*4 matrix keypad. The key layout is in matrix form, so with only eight I/O ports, we can identify 16 buttons, saving lots of I/O port resources. 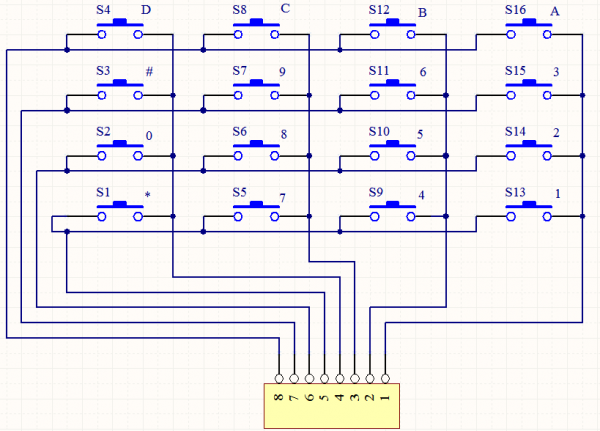 Connect module pin 1-8 in sequence to board digital pin 2-9, as below picture. 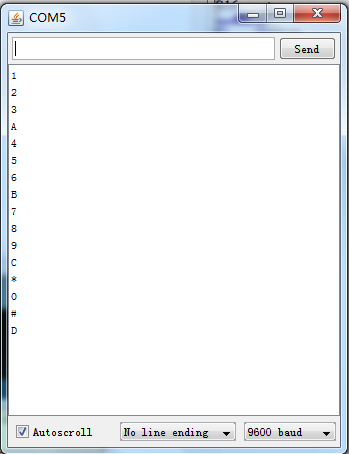 Firstly, you need to unzip class library file “Keypad.zip” and place it in subfolder “libraries” of folder “Arduino” . This page was last edited on 19 April 2019, at 09:00.